Oranje is the new Black: Rokjesdag! I learned a new word this week: Rokjesdag, the first day in spring when all the girls wear a skirt with bare legs underneath for the first time (although I can assure that the picture on the matching Wikipedia article is not at all representative for that...). 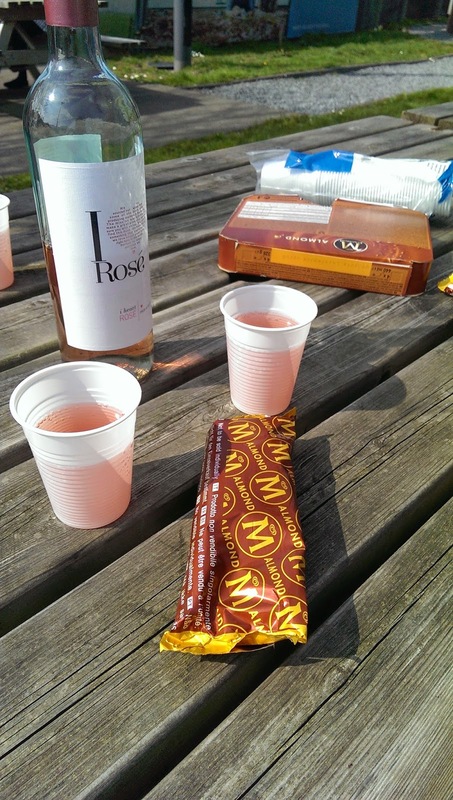 So, this first really warm day of spring weather was last friday and we immediately took our workgroup meeting outside onto the campus square and complemented it with ice cream and a bottle of Rosé from the campus supermarket. Super-tough student life! 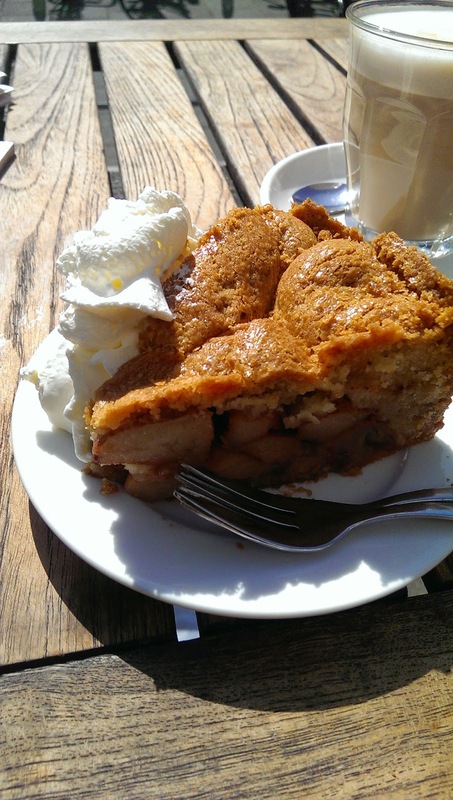 Yesterday we had again around 20°C, no lectures and no imminent assignments due, best conditions to start my day with a piece of the supposedly best Appeltaart of Amsterdam at Winkel. I must say, I've gotten really fond of Appeltaart by now - although it does not contain any chocolate and often even has raisins in it. But with a nice crunchy crust, cinnamon filling and a big portion of slagroom, it's really hard to resist! And the one at Winkel yesterday was still warm inside, mmh! 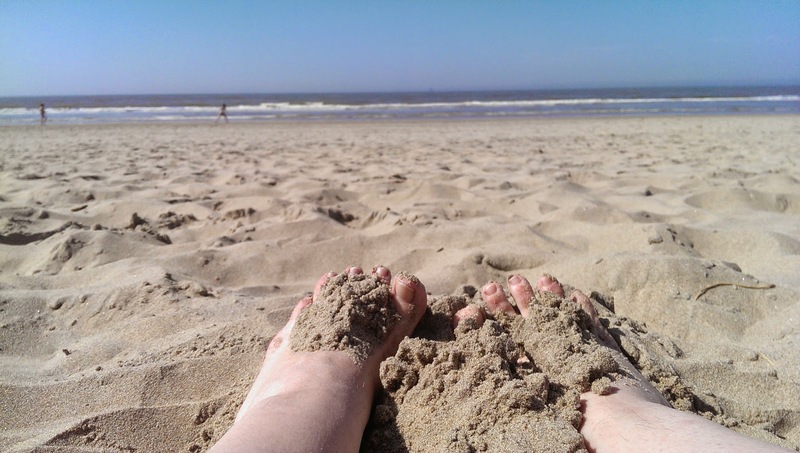 Afterwards I did the best thing I could imagine: I went to the beach with friends! Admittedly, it was still a little cold with all the wind... but it did feel like a small mid-week vacation! 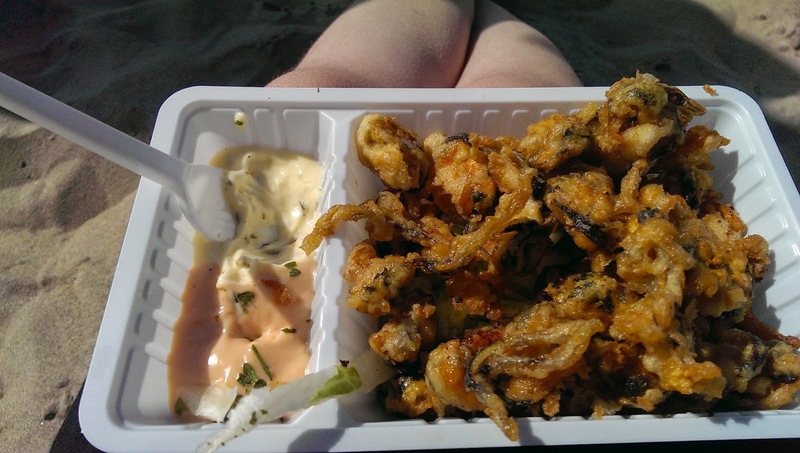 No beach trip without fresh seafood!